Every September, major technology companies turn up at the Internationale Funkausstellung (IFA) in Berlin, Germany, to showcase their forthcoming products and the technologies that drive these contraptions. This year was no different. As expected, the six-day event (31 August-5 September) was an assortment of cutting-edge gadgets and technologies. Here are five trends to look forward to. Next-gen notebooks will sport dual screens and bigger displays in smaller form factors. Asus’ Zenbook 13-UX333 redefines slim with its 11.9 mm thickness, while the ultra slim bezels give it a screen-to-body ratio of 95%. Asus has replaced the traditional touchpad with a more intuitive touch-based ScreenPad. Acer has introduced a 15-inch notebook, Swift 5, which weighs just 990g, courtesy the thin bezels and magnesium-lithium alloy used in the shell. It will be available in North America from January at $1,099 (around ₹ 80,000). 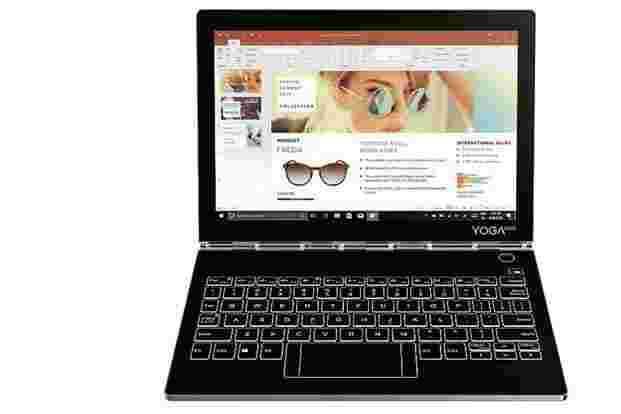 Lenovo showed off its Yogabook C930—a dual screen 2-in-1 notebook with a secondary touch-based e-ink display that can be used as a drawing slate. People planning to buy a smart speaker will soon have more options. Harman Kardon’s Citation series speaker (starts at $199) will be powered by the Google Assistant, while Bose’s Home Speaker 500 ($399) will rely on Amazon’s Alexa. Huawei is also taking a shot at smart speakers with its very own AI Cube, which also supports 4G cellular networks. 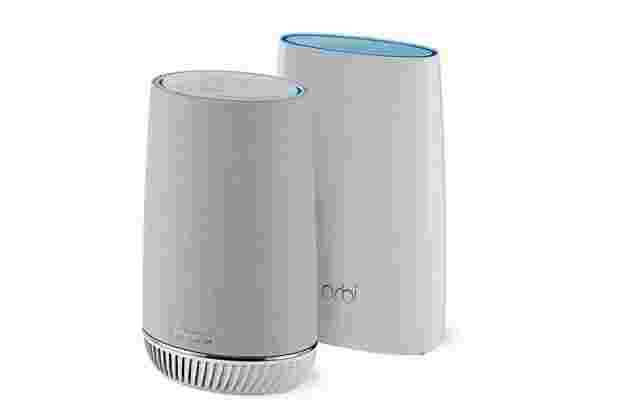 Netgear’s new mesh router system, Orbi Voice, will double up as a smart speaker, allowing users to create a multi-speaker system using a Wi-Fi network. The Orbi Voice will be powered by Amazon Alexa and will be available at £279. If you thought 4K TVs were the high point of TV graphics, think again. 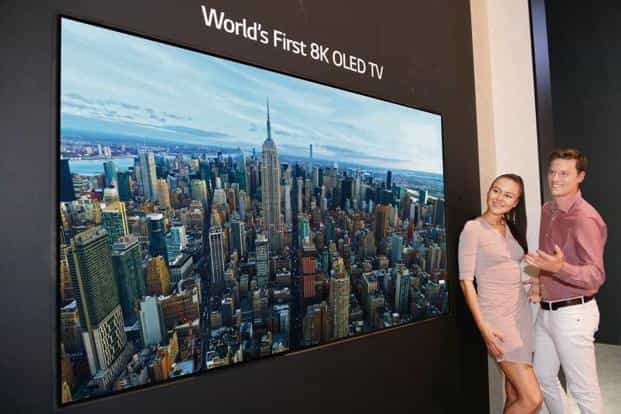 South Korean technology companies Samsung and LG are moving towards the next landmark, 8K. Samsung’s Q900, with a giant 85-inch screen, offers a resolution of 7,680x4,320—that’s twice as much as the 3,840x2,160 resolution available on 4K TVs. The Q900 can also upscale 4K content to provide an 8K experience to users. A higher resolution means a higher number of pixels, resulting in sharper and more detailed picture quality. LG’s unnamed 8K TV has an 88-inch OLED screen. In 8K, users get 33 million pixels compared to eight million pixels in 4K. Meanwhile, users won’t have to wait for long as the ecosystem for 8K is developing simultaneously—Nvidia recently announced RTX 2080Ti graphics card (₹1,02, 500) that also supports 8K games. 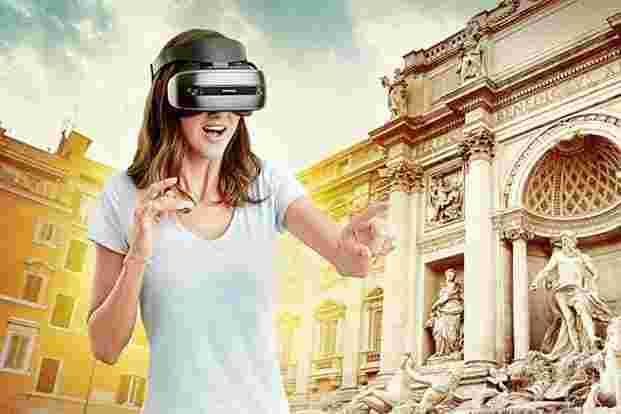 While people have been marvelling at the possibilities of Windows Mixed Reality (WMR) for a while, there have been hardly any devices that would let users actually play around with the technology. That is going to change soon as Microsoft’s hardware partners such as Acer, Lenovo and HP have announced their WMR headsets. All of them offer built-in dual LCD screens with a resolution of 1,440x1,440p with a refresh rate of 90Hz. Acer’s OJO 500 will cost $399, while the Lenovo Explorer is priced at $449. However, WMR headsets only work with compatible PCs and laptops. Mixed Reality headsets work by overlaying a virtual world or object over a physical world or object and rely on built-in cameras and sensors to map the user’s physical location. In the gaming segment, Nvidia showcased its next generation RTX series graphics processing units (GPUs), while Acer showed its futuristic gaming chair. The former offers a higher number of CUDA cores, an additional RT (ray tracing) core for rendering detailed shadows and reflections for a more realistic visual experience, and a Tensor core which uses Artificial Intelligence to render visuals faster. CUDA is a parallel computing platform and application programming interface (API) model, developed by Nvidia. 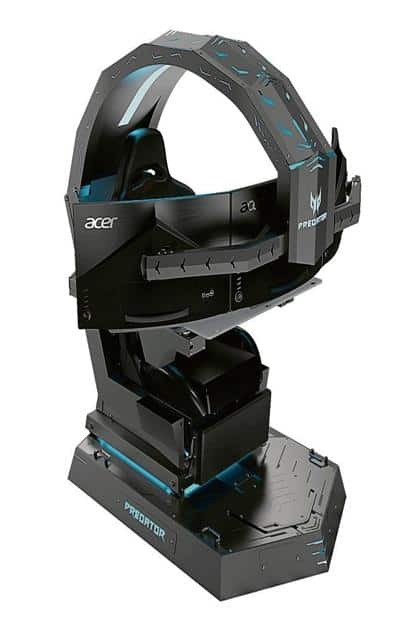 Acer created quite a buzz with its Predator Thronos gaming chair, which stands 1.45m tall, has room for up to three 27-inch monitors and has space at the bottom to accommodate a desktop PC. The chair, which can be tilted backwards up to 140 degrees, is expected to cost upward of $5,000. Razer’s THX-enabled Kraken Tournament Edition headset is another gaming marvel. It is the first headset to support spatial audio technology, which delivers a 360-degree surround sound experience with realistic depth and pinpoint accuracy, allowing players to determine the exact direction from which the sound is coming. This can come in handy in multiplayer online games such as Fortnite and PlayerUnknown’s Battlegrounds or PUBG. It will be available in the US at $100. 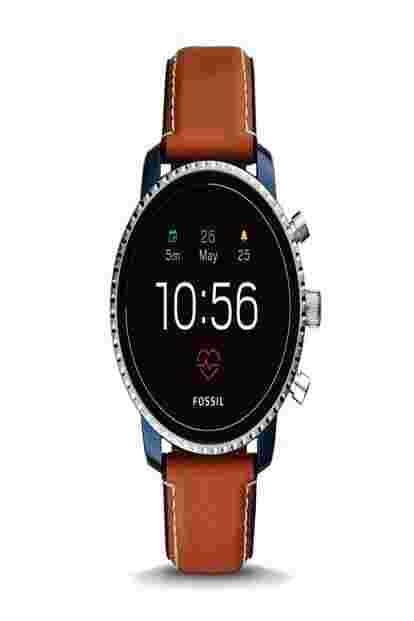 The fourth generation of Fossil Q smartwatches includes the Fossil Q Venture HR (40mm case) and Fossil Q Explorist HR (45mm case). Powered by Google’s Wear OS, the smartwatches can monitor heart rate and be used for NFC-based payments. It will be available in India by the end of October at a starting price of $255. Home security specialist Yale has integrated Philips Hue lights with its smart home alarm system, allowing users to personalize their smart home security based on their family’s needs. The integration will also add another level of convenience to homeowners with the visual reassurance that their Yale smart home alarm is set. When used with Philips Hue colour ambient bulbs, the lights will flash red if there is a break-in. 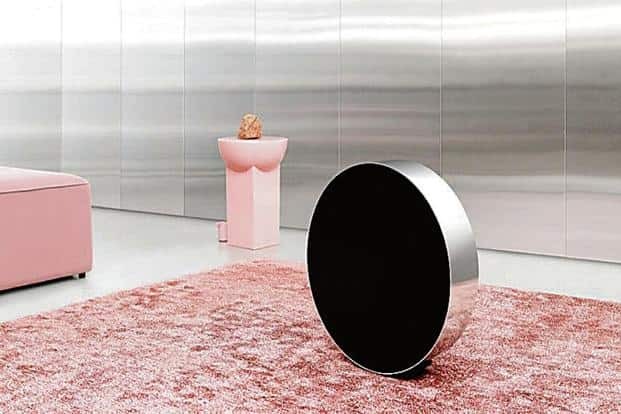 Danish company Bang & Olufsen, known for its designer speakers, dazzled the audience at the IFA with a wheel-shaped speaker, Beosound Edge. It has a diameter of 19.8 inches and can be mounted on a wall or kept on the floor. Users can roll it from side to side to adjust volume. It also supports Apple’s AirPlay 2, allowing users to connect other audio devices and create a multi-speaker system. LG has updated its CLOi portfolio of service robots with a wearable robot called CLOi SuitBot. It comes with rotating joints and is designed to enhance the physical strength of a user’s legs while walking and lifting heavy objects. Powered by Artificial Intelligence (AI), the SuitBot can analyse a user’s movements and actions to tweak its efficiency.